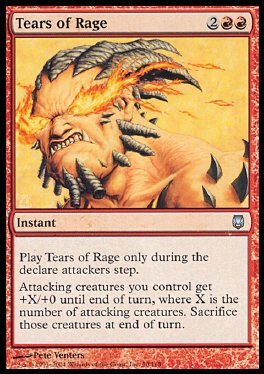 Play Tears of Rage only during the declare attackers step. Attacking creatures you control get +X/+0 until end of turn, where X is the number of attacking creatures. Sacrifice those creatures at end of turn.